What better way to cap off the 2018 Directors Close-Up series than to feature three filmmaker teams whose recent projects all managed to tell deeply engaging and entertaining stories drawn from recent history and real-world characters? 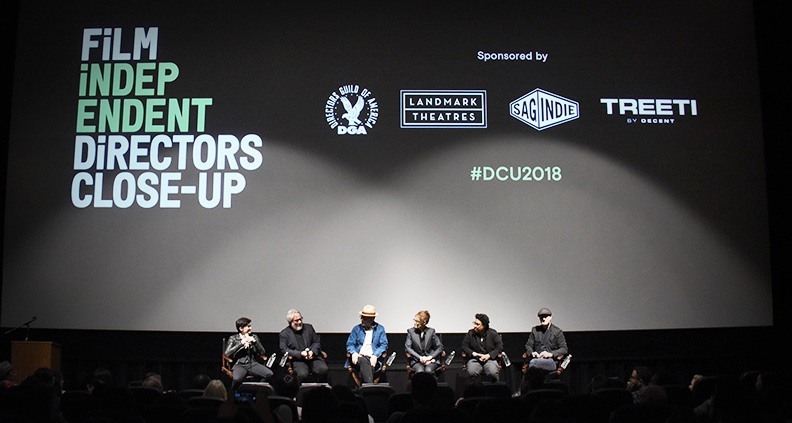 The filmmakers: Battle of the Sexes co-directors (and husband/wife duo) Jonathon Dayton and Valerie Faris, I, Tonya director Craig Gillespie and Angela Robinson, writer/director of Professor Marston and the Wonder Women. 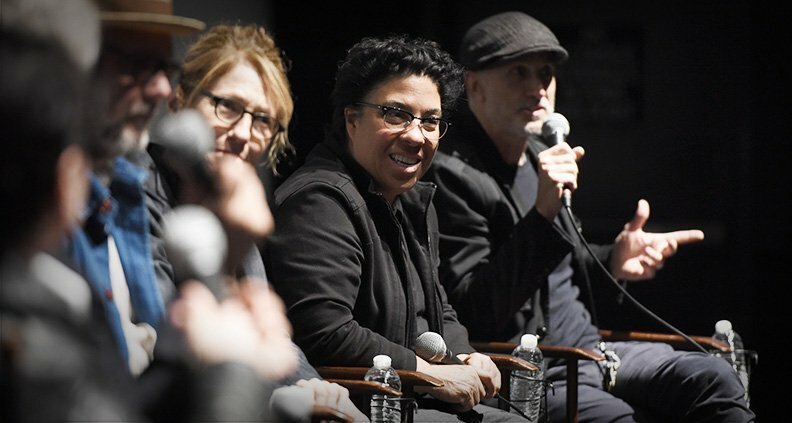 The March 7 panel—titled Real Live vs. Reel Life—was ‘tag-team’ moderated by director Kimberly Peirce (Boys Don’t Cry) and writer Larry Karaszewski (The People vs. O.J. Simpson, Ed Wood), themselves no strangers to IRL-inspired big screen storytelling. 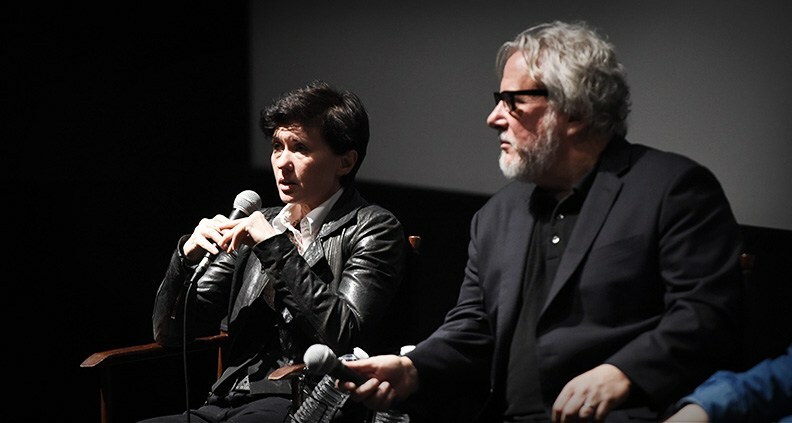 Together, Karaszewski and Peirce led a spirited conversation about the risks and rewards of sharing stories about real events and real people. 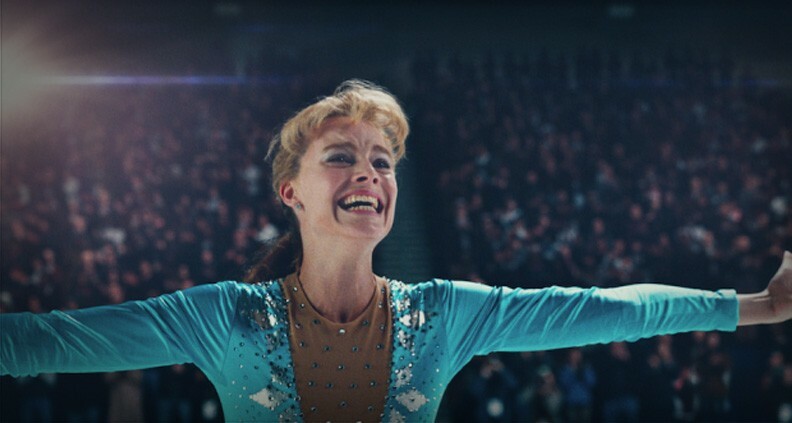 Peirce pointed out that the movie business, and filmmaking in general, could be considered “making entertainment of truth.” So to start, let’s dive into Gillespie’s narrative of the truth as depicted in I, Tonya—a recent Film Independent Spirit Award winner for Best Supporting Female and Best Editing. Gillespie spoke to audiences watching the film and not realizing if what’s being shown is Jeff Gillooly’s version of what happened, or Tonya Harding’s version. “When you get to the end [with] Jeff saying Tonya didn’t know, that’s still his version,” said Gillespie. At the same time, though, he also stated, “we present the evidence, but emotionally you do want to humanize her [Tonya]. By the end of the film that’s what you take away from it.” So, a tip to moviegoers: take what you’re watching and ingest with a grain of salt. 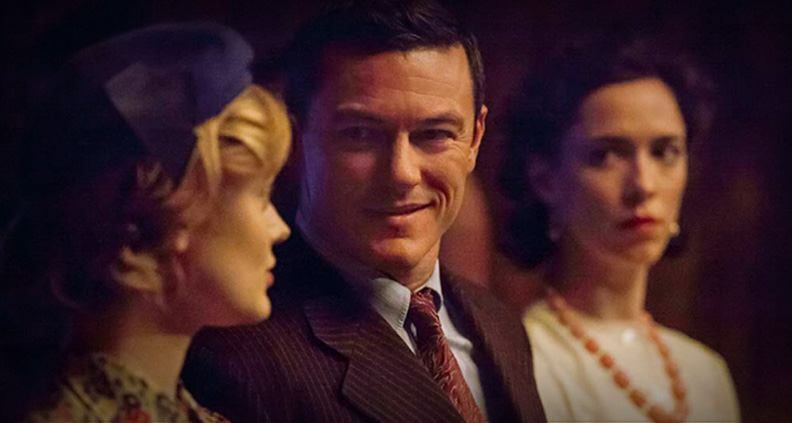 Robinson first came to the story of Professor Marston and the Wonder Woman—about the life of the titular Wonder Woman creator and the unconventional poly relationship he and his wife shared with their mutual lover, a former student—through Marston himself before becoming intrigued by his wife, Elizabeth Holloway Marston. Elizabeth, she learned, was incredibly intelligent, one of only four women to earn a law degree in 1918. What, then, for Dayton and Faris was at the core of Battle of the Sexes? 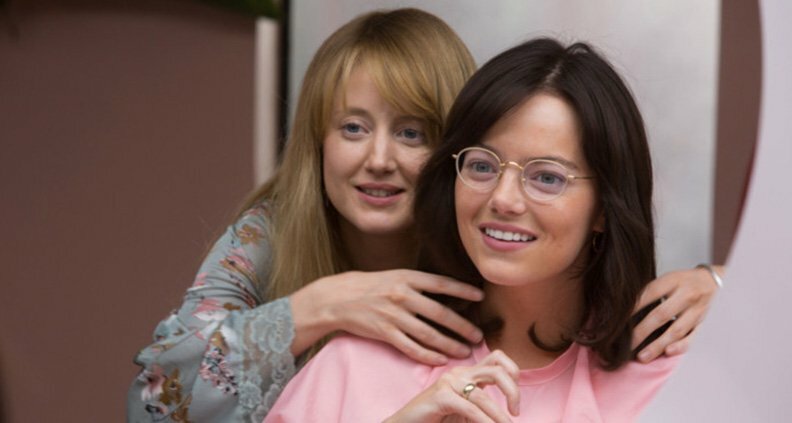 For Dayton, the love story between Billie Jean King (Emma Stone) and hairdresser Marilyn Barnett (Andrea Riseborough) was the key narrative they were most interested in exploring. “The challenge was that what happened after our story was very much a departure from the origins of this relationship between Billy Jean and her lover,” he said. Coming to terms with one’s sexuality, especially during a deeply homophobic time, could not have been easy. “A lot of what held Billie Jean back was her own homophobia. She couldn’t admit to herself that she wanted to be with women. It was really hard for her to accept that about herself,” Faris said, citing King’s conservative parents and Long Beach, CA upbringing. Robinson faced a very different challenge. “I had almost a different assignment, because every character was dead,” she said. So after a certain point, finding the emotional truth of who her characters were, in Robinson’s view, boiled down to forgetting about her extensive research. “And the core I thought there was this beautiful love story at the core of who Wonder Woman came to be”—the idea being to find the emotional truth of the narrative, not necessarily the literal truth. It’s also important to consider complexity and contradiction when thinking about biography; there are always contradictions. “I worry in telling the story of a real-life figure that you do damage if you distort the truth too much,” Dayton said. Faris agreed. “We didn’t want the movie to feel self-congratulatory,” she said, adding, “the part of Billie Jean’s story that really interested us was her personal struggle and what she was going through as she was trying to make change.” Karaszewski jumped in—“That is the real act of heroism!” he said. As Faris articulated so eloquently about the life and story of Billie Jean King: “If you can change, then you can help make change.” And that change starts with the truth… or some version thereof. The 2018 Film Independent Directors Close-Up at Landmark Theatres. Thanks for coming!